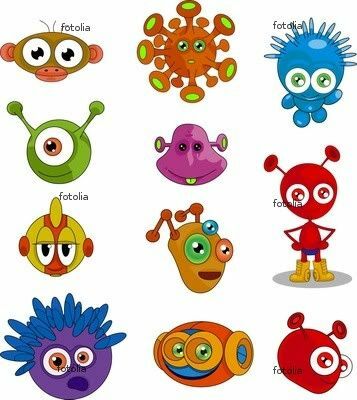 When you first hear about invasive species, the image that may come to your mind most quickly is that of aliens coming to take over the earth and driving out the human species. However, if you've ever taken a class on ecology either in real life or in an online school, you may know that this term is reserved for animals and plants that have been displaced and are doing so well in their new environment that they are destroying local species. In this modern world, species become misplaced all the time, and here are just a few of the ones that are doing some damage. In the plant world, bizarre invaders are often guilty of hurting or driving out other plants. For example, in many places in California, they're dealing with a parasitic vine called Japanese dodder. It makes kudzu, a vine known as “the Plant that Ate the South,” look tame. 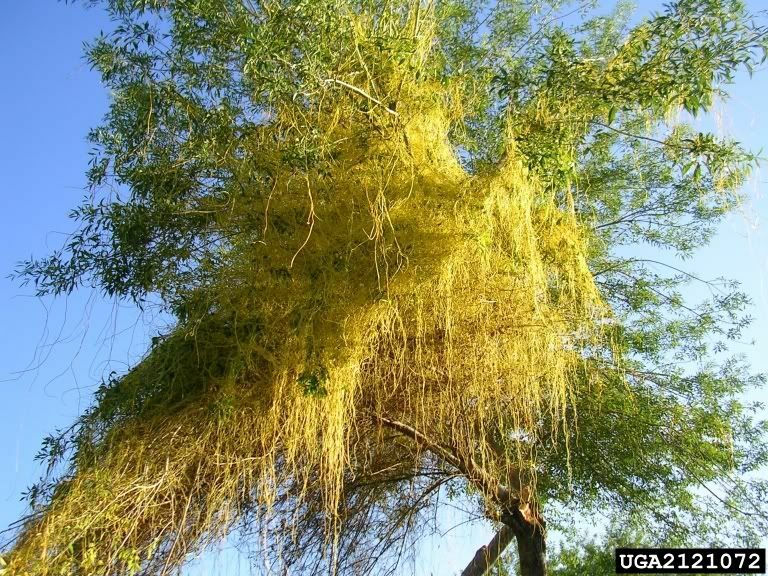 This nasty weed looks like nothing quite so much as bright yellow spaghetti, infests other plants and trees and kills them, and it propagates from even the smallest cutting. Some plants are dangers to all around them, not just other plants. Giant hogweed is notorious in some parts of the world, distinctive for its size and huge white compound flowers. The sap from this plant can cause itching, blisters and burns that result in scars, and people have been known to go blind from contact with it. Pigs are something most people think of as farm animals and sources of food. However, wild pigs are causing problems in the state of New York. Russian wild boars were brought in for captive boar hunts upstate and escaped, destroying gardens and infecting pets with nasty viruses. Nutria, a beaver relative with a long thin tail like a large rat, were introduced in North America on fur farms when many local populations in South America became extinct. They are well known to destroy wetlands and irrigation systems, displace native animals and even chew through tires or house paneling. They are so infamous that in some states there is a large bounty offered to anyone who brings in their pelts. Also large and dangerous are the anacondas that have begun to flourish in the Everglades, thanks to people releasing pet snakes when they realized how big they grow. These snakes now get into fights with the native, endangered alligators, fights which they often win. Across the pond, England has also had a number of problems with introduced mammals. 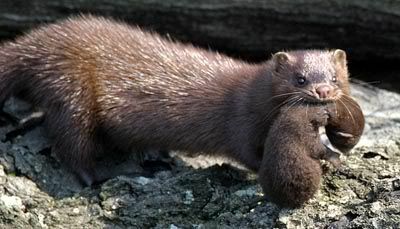 The American mink escaping from fur farms in the 1960s and 1970s contributed to the near-extinction of the English otter. Competing for the same food, and both more aggressive and less vulnerable to human disturbance, they pushed otters out of much of eastern and central England. Less dangerous and more amusing was the small herd of red-necked wallabies that escaped from a private collection in the English Midlands and became established as a breeding species in a small area of Derbyshire. Whilst it's easy to laugh at the idea of kangaroos in Europe, they did compete for food sources with the native deer. The population is now believed to be extinct. Some of the most infamous invasive species are found in Australia though. European rabbits have caused many problems in Australia, most notably the near extinction of the local bilby, and entire states have put up rabbit-proof fencing in response. The worst however is the cane toad. This poisonous toad was introduced in the mid-1930s to control the native cane beetle, and has been rapidly spreading over Australia ever since. It has decimated local species, from birds and bugs to snakes, lizards, and even crocodiles. There are only three species in Australia that can eat the cane toad, and a kind of bird has learned to attack the non-poisonous underside in defense, but the toad has pretty much free reign over the landscape. Similarly to the Nutria, bounties have been put on their heads, although the bounty isn't always money. Bugs are some of the most invasive of invasive species, as they can travel almost anywhere without detection. For example, Khapra beetles have been discovered recently in rice shipments from India to New York. They're found in many Asian countries, originally hailing from India, and eat their way through tons of stored grain before hunkering down to wait for the next shipment. They're resistant to insecticides too. 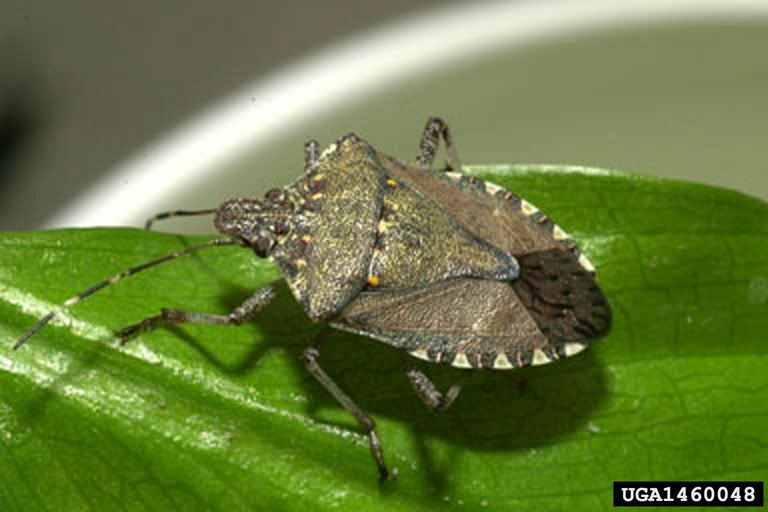 Equally bothersome is the brown marmorated stink bug, also known as the shield bug for its shape. This insect commonly devastates orchards and vegetable fields. In fact, a disproportionate number of invasive pests are beetles, but they are not often thought of because they are small. Though each of these species looks and acts differently, they all share the problem of being in the wrong place. Though they may be as cute as rabbits or as lovely as rhododendrons, there is nothing pleasant about what they do to the environment around them. Fortunately we now understand the dangers of introducing non-native species to new environments, and are actively working to eradicate and remove those that have made their way to where they don't belong.